“We tried all options. But it was pellet guns which most suited us”, AG Rohatgi. “The Bar cannot take sides. They shall not be on the side of the security forces or the mob”, the Supreme Court today said asking the Jammu and Kashmir High Court Bar Association who challenged the use of pellet guns, to respond to the issues raised by the Centre on the issue. The Centre represented by Attorney General Mukul Rohtagi explained the circumstances under which security forces use measures like pellet guns. Rohatgi said that the security forces try to use minimum forces to avoid any damage to life and property and eventually use pellet guns and live ammunition in the final stage when the mob comes in immediate proximity to the security forces. The bench headed by Chief Justice J S Khehar also took into consideration the submission made by J&K Bar Association which contended that the Centre was not coming out with a clear-cut scenario and expressed its willingness to assist the court. “Bar was in an effective position to bring out true factual position to assist the court in giving directions which will be meaningful” the bench of chief justice J S Khehar , Justices D Y Chandrachud and S K Kaul said. “Bar has to play a very important role in assisting the court in evolving the solution as the lawyers in the Bar were privileged people”, said the bench. At the outset, the Attorney General, in response to the last hearing, placed before the bench confidential documents about the deliberations undertaken to evolve options other than the use of pellet guns for tackling mobs which resort to stone-pelting and attacks by petrol bombs, acid bombs and other deadly weapons. 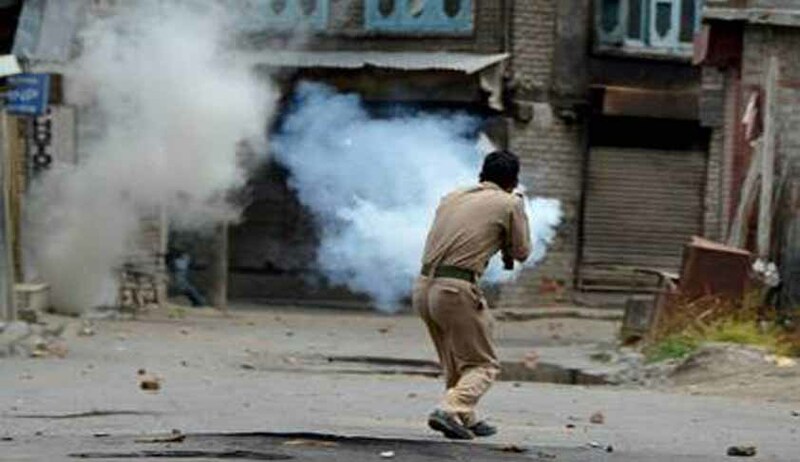 The apex court had on March 27 expressed concern over the pellet gun injuries suffered by minors who indulged in stone pelting in Jammu and Kashmir and asked the Centre to consider other effective means to quell the protests as it concerns “life and death”.